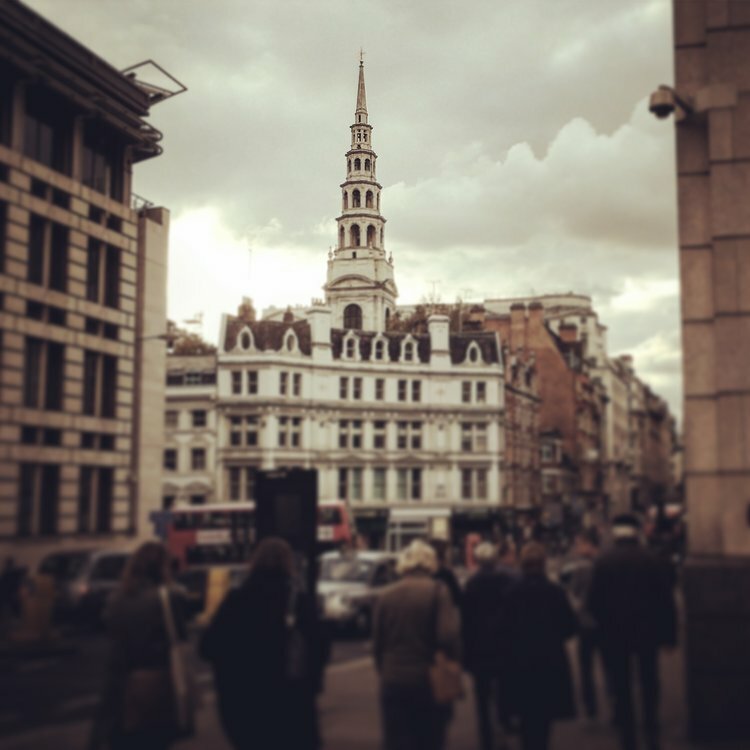 Last weekend two of our staff, Kate and Hannah, attended a guided walking tour from Guildhall to Fleet Street, organised by New London Architecture. 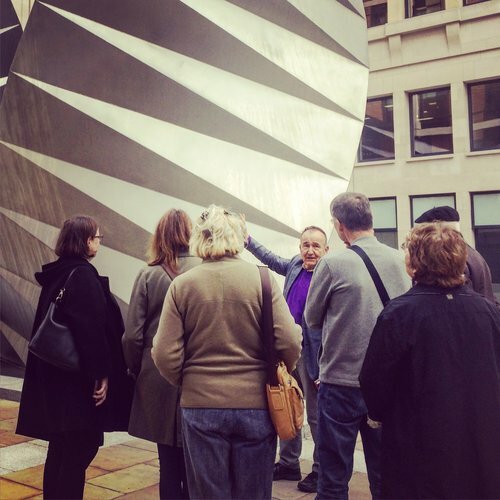 The walk was led by David Thompson, a Blue Badge Tourist Guide, who offered a wealth of information regarding both historical and modern architecture in the City of London. The tour started at Guildhall, the ceremonial and administrative centre of the City of London Corporation, and wound its way to St Paul’s Cathedral, past contemporary buildings designed by the likes of Foster+Partners, SOM, Richard Rodgers, and Jean Nouvel. Kate and Hannah were particularly interested by the recounting of the history of the City of London, which was decimated by the Great Fire of London, and how Christopher Wren was commissioned to rebuild 52 churches, one of which is St Paul’s Cathedral. The juxtaposition of historic architecture with modern, contemporary structures creates a unique and diverse urban fabric within the City. When old meets new, the new pays homage to the old. The City of London Corporation planning department was responsible for ensuring that the new buildings were constructed sympathetically to their context. 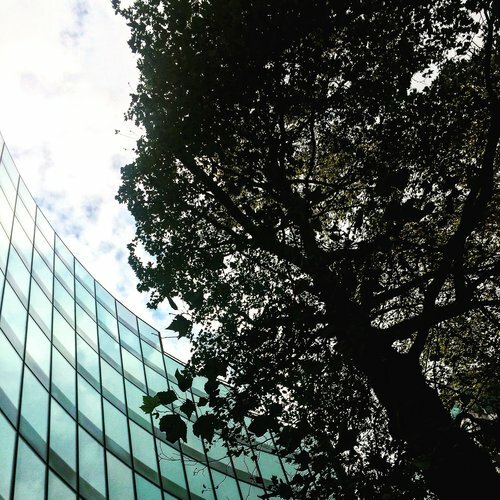 One such structure, 100 Wood Street designed by Foster+Partners, has an entirely curved façade around a large protected London Plane tree, ensuring that this historic tree was retained. 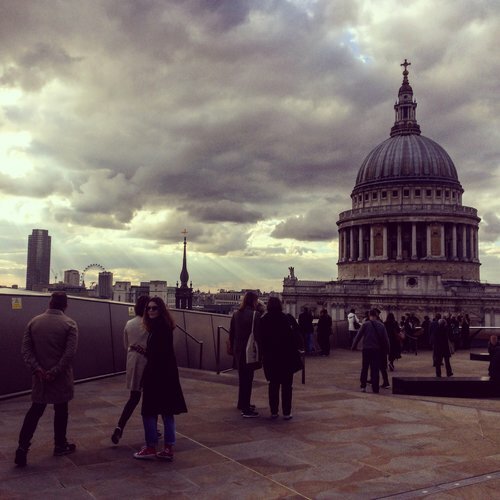 The tour gained height at One New Change, a large shopping Centre designed by architect Jean Nouvel, where a quick trip up to the roof terrace on the 6th floor allowed for stunning views to St Paul’s Cathedral and beyond. Mr Thompson regaled a fascinating story of the brave men and women volunteers who patrolled the dome during the Blitz, successfully extinguishing 28 bombs in one night that threatened to damage the cathedral. The final leg of the tour took Kate and Hannah up Fleet Street, where the St Brides Church, again designed by Wren, was the inspiration behind the world’s first tiered wedding cake. The rest, as they say, is history. Kate and Hannah both enjoyed the walk thoroughly, fascinated by both the buildings and the public realm around them. New London Architecture is an independent information resource focussed on London’s built environment, and ExA encourage all who are interested to visit them at the Building Centre in London.